How to Make Money on Craigslist, According to the "Craigslist Hustler"
When I see unique ways to make money online, I’m instantly drawn to them. Ironically, making a living on Craigslist doesn’t seem unique at all (at first glance). After all, Craigslist is nothing more than an online classifieds site, and selling physical items in the classifieds (e.g., in newspapers) is one of the oldest ways to sell your stuff. Is this way to make a living online so “old” that people today complete overlook it? 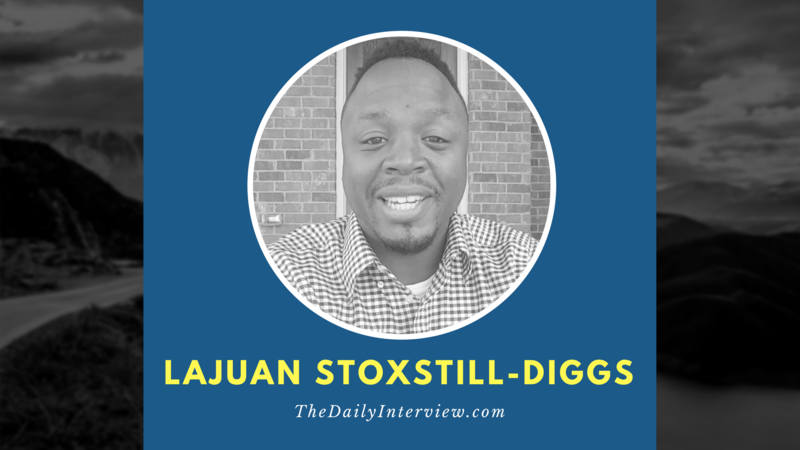 That may be the reason why LaJuan Stoxstill-Diggs (the “Craigslist Hustler”) has what appears to be a really unique and interesting business model. LaJuan uses strategies that I believe are actually unique. It’s more than just “selling your junk on Craigslist.” It’s a legitimate business model. I actually stumbled across Craigslist about 8 years ago as a last ditch effort to sell a dryer I received for free from my brother. I had been laid off by my employer along with a few dozen others. My wife and I had three sons under the age 7, my unemployment benefits were near the end, and I was desperate to legally make some extra money. I had been unemployed for a few months and I was putting in applications all over the place with no success. I would pick up odd jobs as much as I could, but it seemed like everyone was short on work. Growing up in the environment that I did, I was familiar with several ways to illegally make extra money, but that lifestyle was behind me. My brother was working for a moving company at the time and would always get free items from the people he was moving. This one particular time he asked me if I needed a dryer because he had just received one on a moving job. I told him I did not need it because I already had a dryer in my home. He then told me that if I could sell the dryer I could keep whatever money I made. With the financial situation I was in there was no way I was going to turn that down. To make a long story short, I posted the dryer on Craigslist for $75 and it sold in a matter of hours. I would say for me that is when my “Craigslist Hustle” began. In my book, “The Craigslist Hustle,” I define hustle as having the desire to better your current financial situation and then implementing a plan to make that money. A Craigslist Hustler is someone, for whatever the reason, who has a desire to change their financial situation by means of buying and reselling items on Craigslist. What are some of the basics of becoming a good Craigslist hustler? Is this really something that anyone can do, or do you need to live in a certain area (such as a major city) or have certain skills? All you need to become a good Craigslist hustler is a reason. For me at the time my reasons were my family needed food, clothing, shelter, gas and the list goes on. For another person it may be a student loan debt is constantly nagging them or they want extra money for a vacation. Once you have your reason and you remind yourself of this daily there should be no stopping you. Hustling on Craigslist is something anyone can do regardless of what city you’re in. Each city may have items that sell quicker or for a bigger profit than other items. I found my hustle in appliances, in particular washers and dryers. I believe without a doubt that you could place me in any city in this country and I could buy and resell washers and dryers for profit. Another great trait to have is being a people person. If you currently don’t like dealing with people then begin to work on it if you’re going to hustle on Craigslist. I get a lot of my work from individuals who don’t like dealing with people. For whatever the reason some of my clients would rather give me their merchandise to sell and in exchange they give me a nice piece of their profit. These people could easily have a few extra hundred dollars in their pockets if they sold the stuff without me. But, they tell me they don’t like dealing with people and they know I can get their stuff sold quick. What has been your greatest success (or successes) so far, with regard to your Craiglist business? When it comes to my biggest success I would have to say it was making it out of the situation I was in when I first started to hustle. Every time I would get a washer and dryer and bring it back home I felt as if I was a hunter bringing home a kill for his family to eat. I knew that by me getting another washer and dryer set that my family would be able to live comfortably without having to beg for money or do something illegal to pay the bills. In writing the Craigslist Hustle I never intended to make millionaires out of any of my readers. My major purpose is to help others to stay afloat during a time of a financial crisis. Once that financial crisis has become stable, I then want to help this person eliminate debt one hustle at a time. From there the possibilities are endless as to what a person can choose to do with their Craigslist hustle. They can start their own storefront business, train others to become Craigslist Hustlers, continue to buy and sell and invest their money wherever they choose and so on. I get emails on a regular basis from people who have read my book, seen my YouTube videos or followed by blog. In the emails the people share their success stories with me about how something I shared helped them make extra money. This is why I do what I do and without a doubt helping others is where I find my success. Can you give us one or two specific examples of items you have flipped for a profit? The items that I love to flip most would be washers and dryers. I usually purchase a set (washer and dryer) for around $150. At times I can get a set for $50, but I never pay more than $200 for a set. Finding sets for $50 is rare, but it happens from time to time. I am then able to turn around usually within 48 hours and sell the same set I purchased off Craigslist for $300-$500. Washers and dryers usually sell quickly especially if you get the ones I teach you to scout in my book. I also dibble and dabble with flipping cars from time to time with my profits from flipping washers and dryers. A while back I was able to make a connection with the manager of a local title pawn company. I asked him if he had any cars from customers that hadn’t paid their title loan that he could sell me. In this case I came across a great deal where I was able to purchase a Nissan Maxima for $3,000 and I was able to sell it three weeks later for $7,500. The reason it took me three weeks is because I had to get the car titled in my name. Once I received the title back I posted it for sale way below Blue Book value and it sold in two days. If you can develop a relationship with title loan companies, ask if they are able to sell you cars before they send them to auction. These are just a few examples of how I have hustled on Craigslist and I’m always looking for new items to flip. All successful people stumble along the way…What do you consider to be your biggest failure, and what did you learn from it? I wouldn’t say I’ve had any “failures” along the way. I never started hustling Craigslist to become successful, but I turned to Craigslist at the time to survive. Over time I have become successful doing what I do and now I’m in the process of learning as an author, entrepreneur and businessman. I can say it is a marvelous challenge for me believing to get my book into the hands of 1 million readers. I am learning what works and doesn’t work when it comes to advertising and marketing. I am so thankful for you allowing me this opportunity to share my story because hopefully some of your readers will now become Craigslist hustlers. For someone who has never sold anything on Craigslist before but wants to get in on this “hustle,” what’s a good way to start? Are there certain types of items that are good for new sellers to target? A good way I recommend someone starting their Craigslist hustle is by first purchasing my book The Craigslist Hustle. I’m not saying this to get sales, but what I teach is a proven method that will save you time and get money in your pockets faster. Once you get the basic steps down it’s a matter of what resources a person has available. If a person has a truck, trailer, or access to either, then I would suggest appliances and furniture. If a person has a car only then I would suggest items like phones, computers, blenders, meat slicers, or gaming systems. One of my favorite online resources is the website Auctionzip.com. I’ve reached a point in my hustle where I am now able to venture out and shop various auctions for merchandise to resell on Craigslist. This website shows me all of the auctions within a certain radius of whatever zip code I enter. Other than that, of course my number one online resource is Craigslist.com. I’d worry about a lot of these auctioned items being hot. Around here in Madison, WI, we’ve been having many burglaries in our neighborhood…sure enough, many of the stolen items have appeared on Craigslist at vastly discounted rates. That’s how some individuals here do their own Craigslist hustle. That’s a really interesting point, Halina, and certainly it’s a risk if you decide to become a “Craigslist hustler.” As a general note, I think buying and selling on Craigslist always requires caution. When possible, you obviously want to meet the buyer/seller in a public place, and that can be difficult if the item is something big and heavy (like washers and dryers). I think another (safer) strategy is to go around to garage sales and find items that you think/know are under priced (or can bargain it down to that point). Good flip opportunities there too. Are there any suggestions for selling some broken electronics on CL?